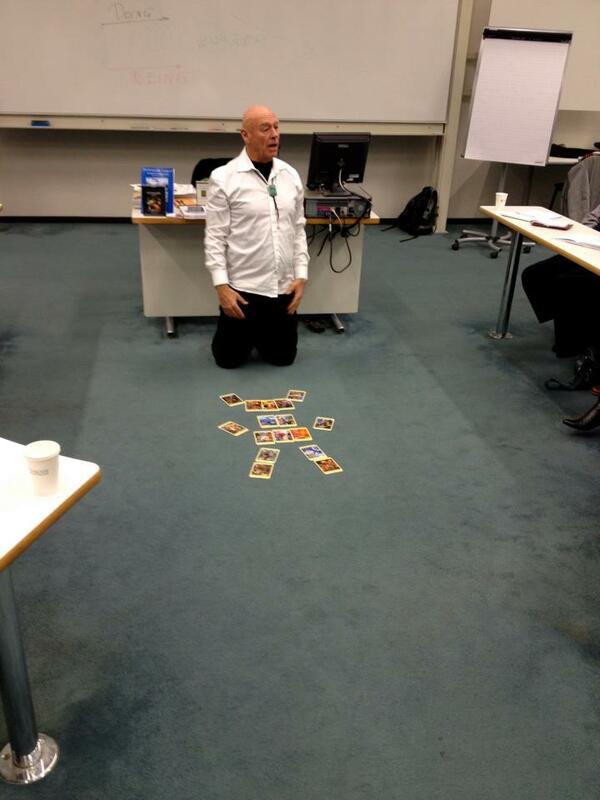 This was a “Group Reading” for the Paul de Blot class at Nyenrode Business University in Holland. Five cards for higher consciousness (Wands)!, Two Cards for head mental health (Crystals:Equanimity and Synthesis), Three cards for heart Emotionality ( Cups Rejoicer, Passion, Ecstasy… wow! ), Four cards for legs Worlds Physical action. FABULOUS GROUP!!! This entry was posted in Captin's Log, Events, Oracle Life, Readings, Reflections, Workshops and Events. Bookmark the permalink. Follow any comments here with the RSS feed for this post. Both comments and trackbacks are currently closed.